Percussion was the theme of the Mostly Mozart concert featuring David Lang. Mozart used kettle drums to underline a point. In his comic opera, Abduction from the Seraglio, he also used triangle, cymbals and a bass drum to suggest an exotic Turkish locale. Jean-Baptiste Lully added percussion for the elevation of a Molière character to nobleman. It was an inspired selection of music to surround David Lang's man made, created to show how elemental percussion instruments are heard by their fancier orchestral counterparts. David Lang explains that music has always been written to be performed in the instant. It is a part of the times in which the composer lives. Mozart was aware of this and so is Lang. In thinking about how percussion has been changed over time, Lang takes elemental and primitive instruments and in composition describes their journey from basic sounds to more sophisticated ones performed on beautifully-made modern copies of the originals. He loves the marimba and the kettle drum, for which he composes. Yet in man made, enjoying its world premier as a chamber piece, he wants to show the consequences of the transformation from elemental to sophisticated. So Percussion, a group who started out as Lang's students, performed in the Lang and the Lully. In the Lully, they were perched on risers at the back of the orchestra. Toward the conclusion, they march in a procession, led to the front of the stage by a musician holding a stick with double bells that looked like Chinese fisherman's hats at the top. It was funny, particularly when the kneejerk processional image is that of a Patriarch. Lang, who does not write in movements, creates four in man made. He wanted to show how an instrument adopted and co-opted by a more tailored successor, is taken over. The elemental begins again in a different form and sound, only to again be co-opted. And so on. Each movement in man made begins at the beginning of a sound, like sticks being broken, listens to it being translated and transformed into elegance and grace, and then rushes back to find another elemental sound, like wine bottles. When Langrée expressed a desire to perform man made as part of Mostly Mozart, Lang said that the orchestra in his piece was too large for this festival. Shortly afterwards, Lang received a marked up copy of the score from Langrée who had shown how notes could be played elsewhere to reduce the size of the orchestra to chamber group. Lang did not like the result, but he was deeply moved by Langrée's effort and by his wish to make the piece possible for Mostly Mozart. Lang undertook his own version, and we heard it alongside Mozart. The concert's unifying theme of percussion was a brilliant stroke. Each of the participants, ever modest, attributed the notion to another person. Perhaps everyone got into this idea. It sounded and felt like it. While this is the serious business of music, we the audience and members of the orchestra who were not playing at the moment, often smiled and even laughed. 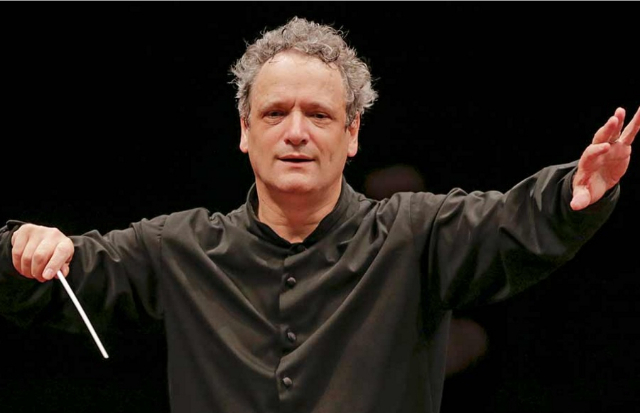 As a conductor, Langrée has a special touch. His take is brisk, but always appropriate. He has a way of starting very specifically, swooping around with dynamics, and then arriving firmly at the end. This gives shape and color. Rhythms always suit. His orchestra is very much with him and delighted in the adventure that new sounds from primitive instruments brought to the occasion. So Percussion performed Steve Reich's Clapping Music to give us a bonus sound and texture. 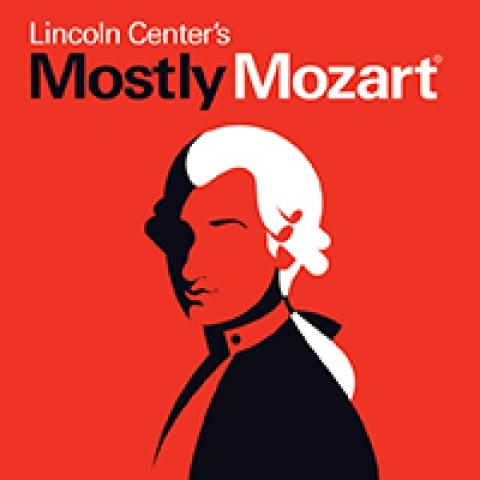 Everyone enjoyed the special evening at Mostly Mozart.